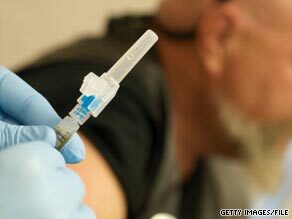 NEW YORK (CNN) -- A New York state Supreme Court judge Friday granted a temporary restraining order against a requirement that all health care workers in the state get H1N1 flu vaccinations. In a news release, federation President Kenneth Brynien called the decision "a big step in the right direction." Peter Banks, a council leader for the organization, added that its members "are not against the vaccination program; what we are against is the mandating, putting conditions of service over an unproven vaccine." A state health department release said officials "are confident that the regulation will be upheld." It cited a 1990 court ruling that rejected health care workers' opposition to mandatory rubella vaccinations. Banks noted that ruling "allows a philosophical or religious opt out," which he said is lacking in the emergency H1N1 regulation. CNN's Jean Shin and Mark Norman contributed to this report.